This is a complex hierarchy diagram template which uses the Tip-Over Tree automatic layout. Some shapes have specific Layout Data properties to determine whether the children shapes will be arranged in a row, left or right column, or 2 columns etc. 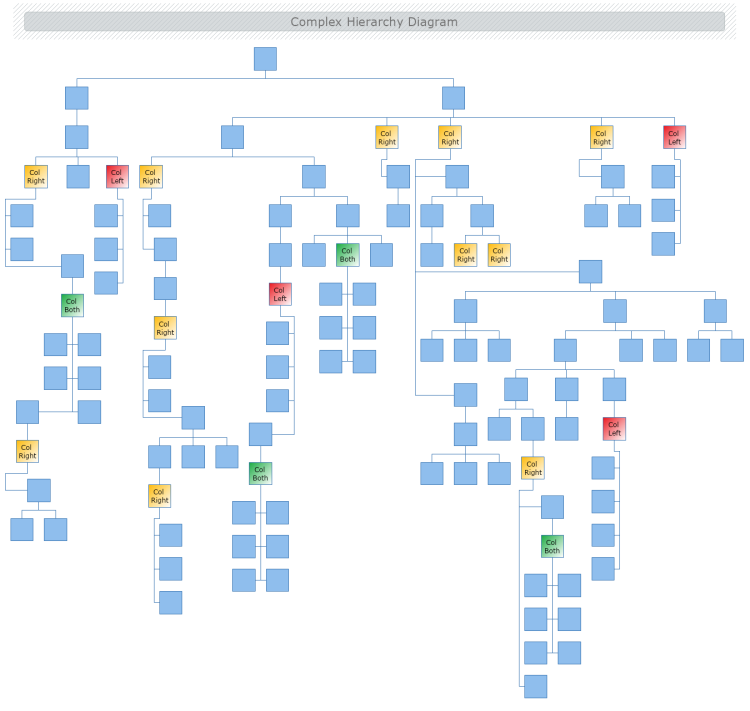 Use MyDraw to modify and customize your hierarchy diagram.